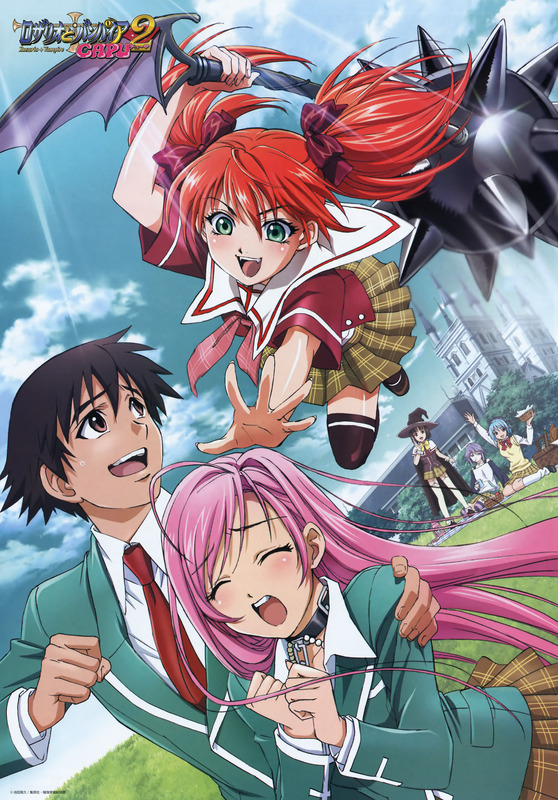 Rosario + Vampire Capu2 is the second season of this anime, read my review for the first season here. This show aider several months after the completion of the first, starting in October 2008 and finishing in December. This season pick up a year after the events of the first season. Tsukune has finally managed to more or less settle down to live at Youkai academy. However returning as a second-year student he finds that his friends are idolised by all the freshmen students. That is, all except one, Shuzen Kokoa, a brash redhead with a sour attitude. Along with that, someone is sending Moka death threat letters. Tsukune will need to double down on his determination to remain at Youkai academy all the while dealing with the new dangers that lurk around every corner. My Review: Many of my criticisms from the first season carry over to this one. The plot, or what there is of it, is for the most part random one episode events that rarely have a consistent connection. The ending wasn’t too bad though and I did think that it was quite nicely wrapped up. Regardless of that, I did find that this season was a lot funnier and I definitely laughed much more than the previous season. The characters are still quite enjoyable although I did think that they seemed to deteriorate into almost “one note characters” but that’s just me being picky. The art is still pretty basic although the backgrounds are quite good. Despite my criticism, I would like to see a third season mainly just because of the characters, but If the writer could reduce the number of filler episodes and perhaps make the story a bit more serious then I think it could be quite solid. If you’re planning on watching this then I would watch it as though it was part of the first season. I’m really thinking the second season of this wasn’t needed. It doesn’t really add anything and mostly just recycles jokes and ideas from season 1 (with a few added and slightly annoying characters).